If I tell you that I’m infuriated by the controversy surrounding the recent SGA referendum to divest from eight companies, you’d probably make several assumptions about why I am having these feelings. If I tell you I am Jewish, then you’ll probably make even more. I can promise you that every single one of these assumptions is wrong. See, I am not upset about the way that Barnard students voted. In fact, I am thrilled that they took this step. What I am upset about is the alumni response. More specifically, the response from alumni who have stayed silent on other important issues that Barnard and Columbia students have spent time and energy invested in. I get it. When something that you feel attacks you or an aspect of who you are, you obviously want to speak up and express your frustration with whatever that thing is. That makes sense to me. However, it is important to note that these are alumni who are only getting involved because they feel attacked by a school even though they have been silent through the attacks this institution has made on other populations. The fall of 2014 is the first time I remember attending an on-campus demonstration protesting Barnard and Columbia’s protection of students who have been accused of sexual misconduct. I’m not a survivor, but this is a cause that I care about deeply and I wanted to do what I could anyway. Now, almost four years later, Columbia and Barnard continue to pardon individuals who have committed acts of sexual violence against other members of the community. And alumni? They’re silent. During the spring of 2015, a group of students and I started to petition the Barnard administration for a trans inclusive admissions policy. Administration initially fought us, but after realizing that the majority of the student body wanted it they finally agreed to hear us out during a series of public forums. Most of the people in the room were students who believed that this was simply the right thing to do. As a trans alum, this was and is a cause that remains near and dear. But alumni? Silent. Barnard taught me to speak up on behalf of those who have different experiences from myself and to get invested in activism that I believe in, even if it does not directly impact me. I am saddened to realize that a good number of Barnard alumni see activism as something that they should only do when their identities are relevant to the conversation. Now that there is a movement that impacts a community made up of people who are mostly white, and mostly Jewish, suddenly that part of the alumni base is listening. More than listening, though, people are actually threatening to pull funding from the school and putting together efforts to organize against the student vote. Alumni with a lot of power are saying things because it feels personally relevant to them, so now the administration is listening. Where were those people when communities made up of people of color, of trans people, of survivors of sexual violence were literally screaming out and asking for their help? Where were they when we were asking for alumni support? They were certainly not threatening to pull funding then. 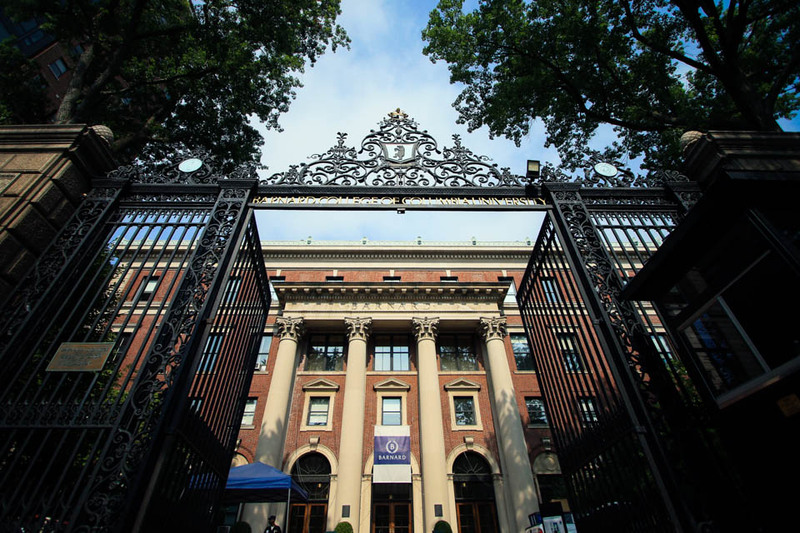 Now there are alumni who are saying that they feel ashamed to be a Barnard alum. That they regret having attended an institution that would do something like this. These are people who have supported Barnard through acts of violence against students that were far more egregious. Supporting the productive discourse among students and letting the democratic process work? Not something to be ashamed of. Continuing to donate money to a school that constantly puts its wellbeing and reputation in front of the physical, emotional, and mental health needs of its students? Problematic. Deciding to pull your support and funding the minute you feel that your identity is attacked even though you have been silently watching the mistreatment of minority students for years? That’s something to be ashamed of. I learned at Barnard that activism needs to be intersectional. I learned that sometimes silence speaks volumes. I learned to stand up for people who have identities that are different from mine. So, alumni who have chosen to fight only for your own interests, know that we are watching. The author is a Barnard College graduate from the class of 2016. During their four years at Barnard, Dylan was heavily involved in advocating for the rights of trans students on campus.